Prep In Your Step: So Much to Celebrate! 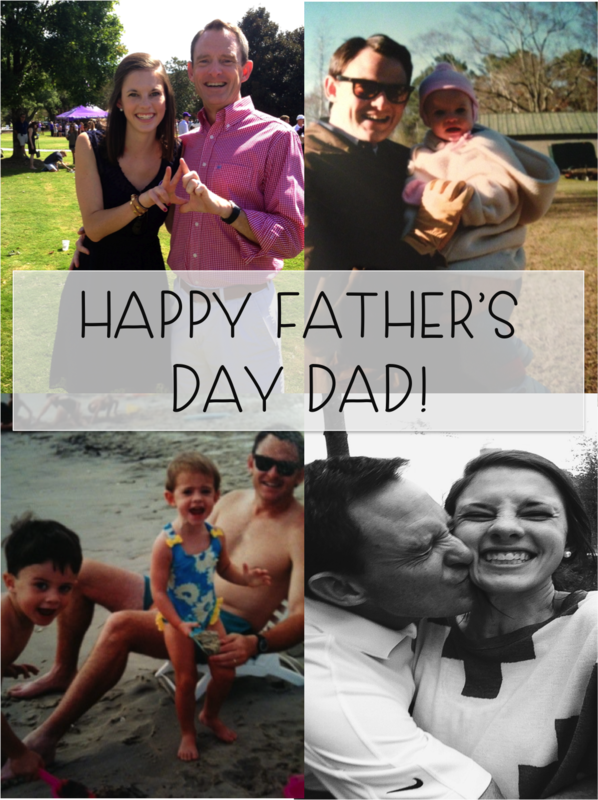 Father's Day, Summer Solstice, and National Wear Your Lilly Day (+Free Gifts)! So Much to Celebrate! Father's Day, Summer Solstice, and National Wear Your Lilly Day (+Free Gifts)! This Sunday seems to be one jam packed with fun things to celebrate. From Father's Day to the Summer Solstice, and even National Wear Your Lilly Day it's a good thing that this is the longest day of the year so that you can make sure to properly celebrate all of these various things! Firstly and arguably most importantly, Happy Father's Day Dad! Now that it is actually Father's Day unlike when he thought it was Fathers Day a few weeks ago and was convinced we had forgotten (read about that here) we can finally celebrate "your" day! We don't have anything exciting planned as dad wanted to watch golf this afternoon but we do have a big and delicious dinner planned which seemed perfectly good enough to him! Here are a couple old and more recent photos of my dad and I that I thought would be fun to include! Secondly, happy Summer Solstice or as us Lilly lovers like to call it, National Wear Your Lilly Day! I adore that Lilly looks to celebrate all things bright and cheery and that this summer they are not only promoting National Wear Your Lilly Day but encouraging this bright and cheerful mentality all summer long with their #summerinlilly! By tagging your photos with these hashtags you have a chance to be featured on their website, how cool would that be? I have been oohing and aching over all of the pieces Lilly has released lately and I can't help but love the retro twist put on some Lilly classics. If you are like me and have your eye on pieces from the site then today is the perfect day to shop since all purchases come with a free gift! And, if you spend $150 you get a free sticky note set, any to do list makers dream gift with purchase! Below I have included some of my favorite pieces from their summer collection and I've included even more pink and green preciousness that you can shop by clicking below the image. How cute would the sticky notes look in your agenda? Which if you are planning to purchase a Lilly agenda you may want to go ahead and do that now as well since you'll get a free gift + free shipping (and they are available now, you don't even have to wait to preorder them)! I am still trying to decide which agenda print I want for the coming year so weigh in your suggestions here! Hope you're having a great day celebrating! I'm dying over the Red, Right, Return Elsa top...it's taking all of my self control to not buy it!